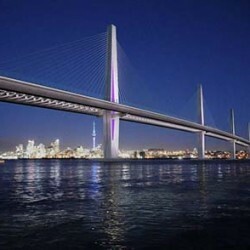 Planning has started for two three-lane vehicle tunnels under Auckland's Waitemata Harbour, likely to cost in excess of four billion dollars. Here’s why an electric rail crossing from the CBD to the North Shore is a much better option instead. A rail crossing will have the capacity to carry more people at peak times. 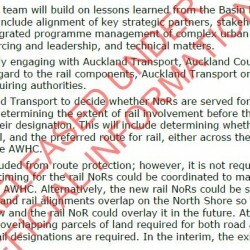 In contrast, the proposed vehicle tunnels are likely to flood Auckland’s CBD with single occupant cars and create yet more bottlenecks on the surrounding motorway network. 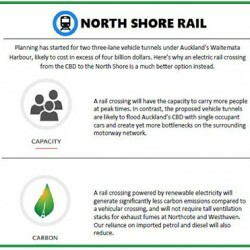 A rail crossing powered by renewable electricity will generate significantly less carbon emissions compared to a vehicular crossing, and will not require tall ventilation stacks for exhaust fumes at Northcote and Westhaven. Our reliance on imported petrol and diesel will also reduce. A rail crossing has the potential to be more cost-effective. Smaller diameter tunnels for rail are estimated to cost $1.2 – $1.5bn, compared to $3.7bn and $4.7bn for two three lane vehicle tunnels. The difference is huge and could fund a rapid transit network covering the North Shore. 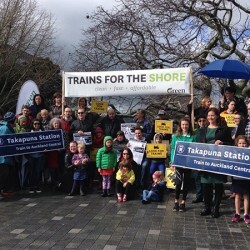 North Shore Rail is supported by the following organisations. Contact us if you would like to add your support. 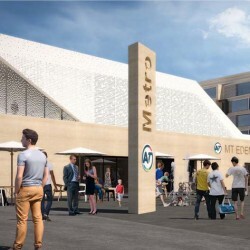 The Campaign for Better Transport is a politically independent, voluntary incorporated society which is committed to better transport alternatives for Auckland and New Zealand. 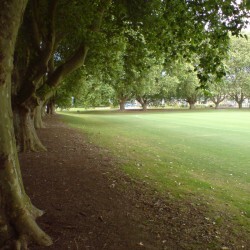 Greater Auckland [GA] is a non-profit information and advocacy group incorporated in 2015. GA founding members work in areas that are relevant to urban policy, including urban design, transport planning, economics, architecture, public policy, development and related disciplines, as a parent structure for the influential transportblog.co.nz. 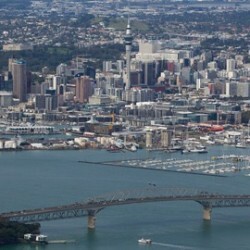 Established in 2008 to provide commentary and encourage intelligent debate about transport and urban form issues, with a particular focus on Auckland. Our online petition at change.org is close to 1,000 signatures! 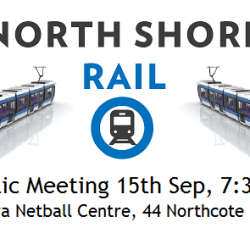 Spread the word about rail to the North Shore so we can break through this milestone and on to the next. Every signature helps demonstrate the popular support we know this project has!